Over the many months of writing this blog I’ve shared a long list of terms related to marketing. More directly, mobile marketing. But one term I’ve not given it’s due diligence is reputation. We all have a reputation as an individual. Some great. Some not so great. But as a business owner or manager you have to make your reputation stellar. There’s no “pretty good” when it comes to raising your business above the competition. You have to be on top of your game 24/7. And I say 24/7 because that’s the hours you’re open online like it or not. The deluge of marketing channels have been great for a lot of businesses and at a very affordable cost. You’re attracting new customers and more customers than ever with your profiles on Facebook, Instagram, Twitter and so on. But guess what, YOU’RE ATTRACTING NEW CUSTOMERS AND MORE CUSTOMERS THAN EVER. This comes at a price for sure. Good and/or bad you put yourself in this digital world and you have to properly manage your place in it. So what does reputation management online mean? Stop and think for a minute about your own habits or the habits of those around you when it comes to shopping or traveling or dining out. What’s one of the first things you do when trying to make a choice? You go to a review site. Yelp, TripAdvisor, Google, Facebook are just a few of the 100s of sites you come across when you want to know how a business stacks up against others. And you read reviews left by others like yourself. At this point the business now has a reputation in your eyes. It was established not by the word of your closest friends or family but most likely by the word of total strangers. And more often than not you heed the review or warnings from those strangers when you make your decision. Your reputation can even come in the form of how you’ve presented yourself online in your marketing. That video your sales team thinks is cool and funny may be seen as ridiculous and offensive. I see it day after day from businesses trying to be hip or cool or start some viral message and they constantly fall flat on their faces. You sell powersports equipment remember. Your’e not auditioning for a Night at the Apollo. And stop letting your staff make those reputation decisions online for you. Express to your customers who you are and what you’re good at. And this will give them plenty of reason to come patron your business. How you manage your reputation is more critical now than ever. But all cross the powersports industry it’s an often ignored marketing/business strategy. If you had someone standing in your parking lot telling customers how awful you were you’d go address that right? Then why aren’t you doing this online? And because mobile is such a prominent part of all our lives your reputation, and your bottom line, can be impacted in a matter of seconds from the customer walking out your door. Sure customer service still takes place inside your doors where your staff interacts with customers one to one. But when that customer leaves the store you no longer have that personal connection. You now have to rely on your online reputation. You MUST have a conversation online with these customers. 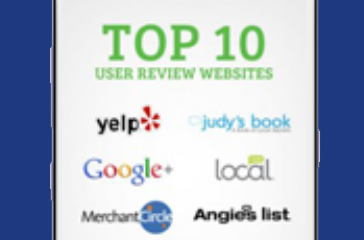 Don’t just think a good review alone will bring in more customers. Those customers took their time to praise you. Now thank them for doing so. Respond to those reviews directly. The good reviews AND the bad reviews. Your staff can muster up 15 minutes a day to sift through review sites and respond. That should be part of their daily routine. Treat those customer reviews online the same way you would face to face. Use the customers name in your response whenever possible. Invite them back in for an event or just to say hi when they are in the area. Take a bad review and turn it into a positive whenever possible. Many times when someone leaves a bad review it’s because their high expectations of your business was not met. They felt you short changed them or that you should’ve done more. It’s okay to acknowledge when you make a mistake. Apologize for doing so and offer to make the issue right with that customers. More often than not a customer will respond back apologizing for venting and give you another chance. Monitor the unethical or fake reviews closely. All review sites have protocol for you to submit reviews you feel are from a bogus source. Maybe a disgruntled former employee or a competitor that thinks doing business this way is worthwhile. But it is incumbent on you to monitor these reviews every bit as diligently as the legitimate ones. Use your mobile channels to solicit customer feedback. Send a text blast to customers asking them their most recent experience. A good mobile vendor will even give you guidance on how to do this specific to each department that the customers most recently visited. Post on social media for customers to share with you experiences or feedback. As soon as you let the customers know their opinion matters they will readily share theirs with you. You must go where your customers are and that’s on their phones. So when a bad review gets posted you need to be alerted and have the proper tools to respond immediately. Don’t ignore this very important part of your business. Doing so can bring a quick and sudden halt to your success or growth. Just ask United Airlines. If you don’t know where to even begin with a reputation management strategy please don’t hesitate to email or call me.